Memorial plaques „1941. 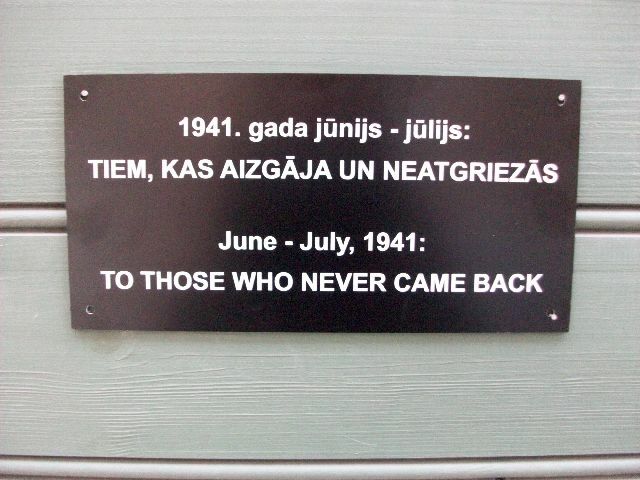 gada jūnijs – jūlijs: TIEM, KAS AIZGĀJA UN NEATGRIEZĀS” (in Eglish: „June – July, 1941: TO THOSE WHO NEVER CAME BACK”) were installed. 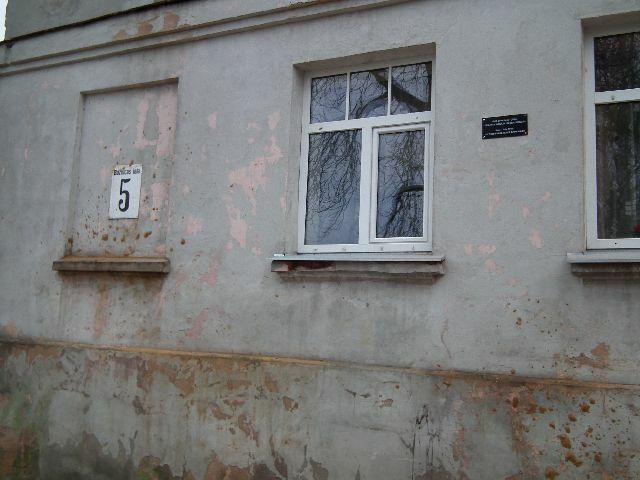 The main aims of the association „Shamir” and the Riga Ghetto museum are: preservation and developement of Jewish ethnic identity in Latvia, research, promotion and presentation of Jewsih historical and cultural heritage, as well as promotion of tolerance, intercultural dialogue and integration and prevention of any discrimination. All of our activities are focused on development of tolerant and democratic values at European level. This project of memorial plaques is just one of many. During this pilot project victims of Stalinism and Nazism regimes were honoured in Daugavpils and Bauska. The lists of victims’ names of deportation and Holocaust on June and July, 1941 were prepared, as well as lists of houses, from where these people were deported. It was followed by a memorial plaques installation. 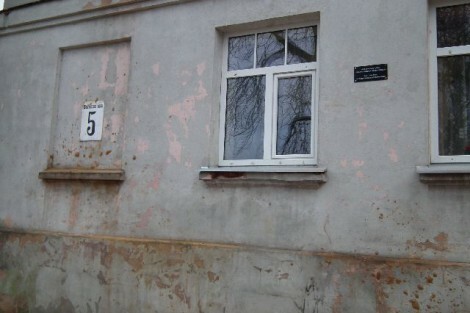 On the exterior walls of those houses that still exist or on those that were later built, identical memorial plaques with the inscription in Latvian and English: „1941. gada jūnijs – jūlijs: TIEM, KAS AIZGĀJA UN NEATGRIEZĀS. 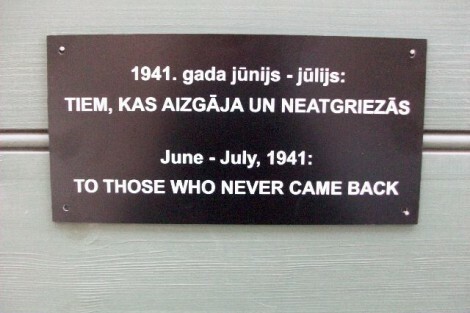 June – July, 1941: TO THOSE WHO NEVER CAME BACK” were put on. All information collected within this project was downloaded on the home page of Riga Ghetto and Latvian Holocaust museum (see for more details on: www.rgm.lv). We are expressing sincere gratitude to Daugavpils and Bauska city councils and the chairmen for the help offered during this project. This project was realized with support of EACEA (Education, Audiovisual and Culture Executive Agency). Let’s do not allow historical facts to be forgotten. In the memory of citizens of Daugavpils and Bauska.